And now for the other side of the squirrel story. This is not a happy story, especially coming from one who is illustrating a children’s book on the adventures of a ground squirrel. With a saddened heart that I relate this incident at PsiKeep. The fact is: There were just too many ground squirrels. During the winter they had lived under the safety of the tarp covering the stack of firewood. By spring and early summer they had expanded into the orchard and were climbing into the apricot trees and stripping the leaves and fruit from the trees. It was time for the Pied Piper. It was time for the Squirrelinator. 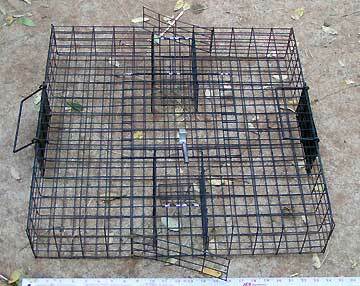 This afternoon I dragged the trap out of the well shed and set it up. It is a simple flat wired box with two doors that can only be opened by pushing from the outside in. I baited the trap with cat kibble and within fifteen minutes I caught my first squirrel. The next part is the hard part. The trap is not lethal so you must do the job yourself. We think that fire is a transformation but what about life. Most of life is about transforming other life into itself. Life devours life in order to live. We eat to be eaten. We have the illusion that we are at the top of the food chain but most of the life on this planet including ourselves is made up of bacteria. The top of the food chain is an illusion. There is only the mouth of life consuming itself. 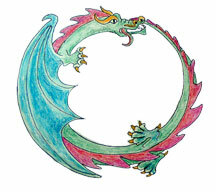 It is the Dragon that swallows its tail. I do not know if this justifies drowning the squirrels but death was mercifully within a few moments, thirty seconds to be exact. But to the squirrels I was the angel of death, the exterminator, the nazi destroyer wiping out whole families in that massive colony. I could not help but cringe at the thought of my role. At first I could not even watch them die. But as the extermination unfolded over the following days, I began to keep score of the number of squirrels I killed. What started as a regrettable act became a methodical job and then a game of how many bodies I could chalk up in a day. All of this was happening as Edward Snowden, a former technical contractor for the National Security Agency (NSA) and Central Intelligence Agency (CIA) employee, leaked details of top-secret American and British government mass surveillance programs to the London Guardian newspaper. The camera mic had picked up the interview with Snowden as I was filming the squirrels in the woodpile. Maybe I should have left it in. (Comments anyone?) This is a blog about developing an art center and politics are for another blog but on this day the news in the world tsunamied into Psikeep. It was not hard to make the leap from my slaughter of the squirrels to the actions of the German nation in the 1940’s. It was the same excuses coming over the radio today. “What‘s the issue we’ve been doing this for last seven years.” “What‘s the issue we’ve been exterminating the prisoners in the camps for the twelve years.” As if repetition can dictate the moral principle of an action. In the late 50’s our family had a black and white television set. As a child I watched the movies of the 40’s that played during the day for lack of television programming. The African Queen, The Seventh Cross, Force of Evil, the Maltese Falcon (although I have no idea what this movie was about.) and On a Note of Triumph (which was not a movie but a special radio program that played across the nation on V-E Day.) These films and radio programs set my moral compass. Along with our mother who was convinced that America was turning fascist. She and President Eisenhower, good old Ike, who in the end of his term warned us about the threat of the industrial-military complex. This moral compass pivoted around the heroism of the little guy who was pitted against overwhelming odds and knew that there was a good chance he or she was never going to get out of that decision alive but made the right choice anyway. It was the heroism of the Resistance which today in America is a dirty word. It was a time when good and evil were clear and absolute. You fought for the weak and the underdog. You sacrificed everything for what you believed in. You resisted the forces of power and stood up against the bully down the street and the bullies of the world. I removed the squirrel and fed it to the raven family on the roof of the barn. As I sat brooding over my actions the ravens had no problem devouring the carcass. The three young birds circled the two parent birds who demonstrated how pull apart the carcass with their powerful bills. All that snapping and tugging on the plastic tarp on the abandoned chicken coop was finally paying off. Remember these are the birds that eat the dead on the battle field. For whatever magic and spiritual meaning we assign to them they are the bird of the apocalypse. They will be there in the end. They will be the ones who clean up after us, who will clean up us. I cannot help but close with the following link to a video that is guaranteed to wake you up and make your skin crawl. Created by Luke Infinger and Brandon Sugiyama, Game of Thrones Season 3: Three-Eyed Raven Tease. And directed by Josh Norton for HBO. Posted on June 28, 2013, in Psi Keep Center for the Arts, Uncategorized, Unforeseen Events, Wildlife and tagged california ground squirrel, ground squirrel, land management, psiKeep center for the arts, squirrels. Bookmark the permalink. 1 Comment. Another great piece of writing, Christalene:) You sure had an infestation of those little critters. And cute as they are, pests are pests. You now have me watching our Suzie squirrel with binoculars out the kitchen window!